What are the ways to make money from real estate in Lagos Nigeria? real estate guide newsletter and visitors to this site often ask me. The purpose of this article is to provide a straightforward and concise answer to this frequently asked question. 3. Purchase of large expanse of land in areas with little or no infrastructure and no valid property documents. You then regularize the property documents, and sell off when infrastructure begins to surface or after the documents have been formalized with the appropriate government authorities. Option 1 is a pretty simple way to make money from real estate in Nigeria. You simply build or buy a property and engage a Nigeria real estate agent to rent it out to tenants. The tenants pay to you the annual rent and this becomes a regular income for you. The rent increases as the property value increases. In the case of option 2, you buy or build a property, hold it for some years, and then sell the property when the value appreciates. Option 3 has to do with long-term investment. In this case, you go to a remote location with potential and purchase large expanse of land from the local communities. More often than not, the local ancestral owners do not have REAL documentation to lay indisputable claim to the land. You then proceed to formalize and regularize the property documentation and title with the state government. Once you are able to secure a C of O for the expanse of land from the state government, you become the legal owner of the property. Land for sale with valid C of O attract higher prices than land for sale without valid C of O. Thereafter, you can sell off in bits after your C of O documents are finalized or you can still hold the property for awhile to attract even higher prices. This is a cool way to make money from real estate. First verify that the expanse of land is not acquired by the government before you purchase from the local communities. Option 4 involves building low to medium income estate and then selling at premium prices. This option is for folks who have a lot of money to invest in Nigeria real estate. It is obviously not for the little guy who wants to invest the little he has to in real estate. Option 5 is the simplest way to make money from real estate. It involves partnering with established real estate agents to sell or let properties in your area. This system is pretty simple. Here's a brief outline of how to make money from this commission system. 1. Be sociable in the area where you live. Relate with people outside of the house where you live. 5. Advertise the property online to fid buyers or tenants. 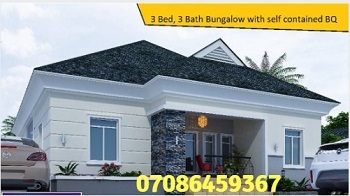 You can advertise any property in your area in the Nigeria real estate market on this web site free of charge. It is as simple as that. That is how real estate agents in Lagos Nigeria work. It is important to note that you cannot make money from this system if you are a shy person. This system is for sociable people . . . people who talk freely with people and are not shy to ask questions. selling information . . . information about what property is available for sale or rent. You don't have to quit your job to make money from this system. And I am not trying to make you a real estate agent. I simply wan you to be aware that there is a lot of money that exchange hands as people rent or buy houses in your street, the street next to yours, the street after the street next to yours, or the estate where you live or the estate next to your house. What does it take to get a share of this commission paid by tenants and home buyers? This is the tough truth . . . you can collect a substantial share of the real estate commission paid by tenants or home buyers in your neighbourhood if you take active interest in houses that are available for rent or sale in your area. That is all there is to it . . . active interest in what is happening in your neighbourhood. This is the easiest way to make money from real estate in Nigeria. And it will cost you only small investment of your time. Nothing else. I hope you will take advantage of this opportunity. Nothing stops you from doing so. P.S: A better way to make money from real estate with zero start up capital is to partner with high-calibre and reliable real estate companies that have estates for sale. Guess what. 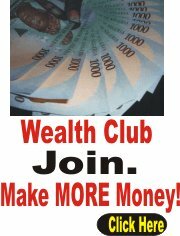 You could earn as much as 17 million Naira in 90 days or less by partnering with these real estate companies. Click HERE to get more details.